Copenhagen is a city famed for its design-savvy crowd, Michelin-starred restaurants, and laidback attitude. 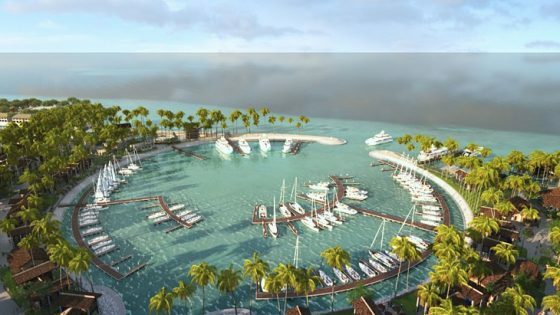 This September sees the opening of a hotel that amplifies these traits and more. 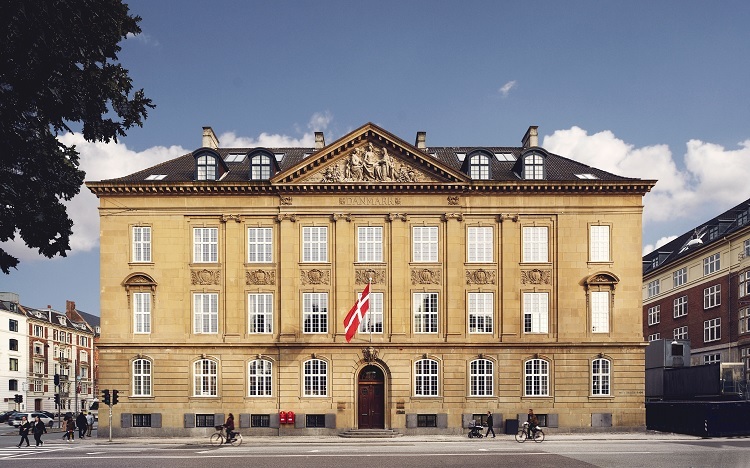 Housed in a historic 5,500-square-metre landmark building from 1903, once home to the Royal Danish Conservatory of Music, Nobis Hotel Copenhagen is set to take the city’s hospitality scene by storm. 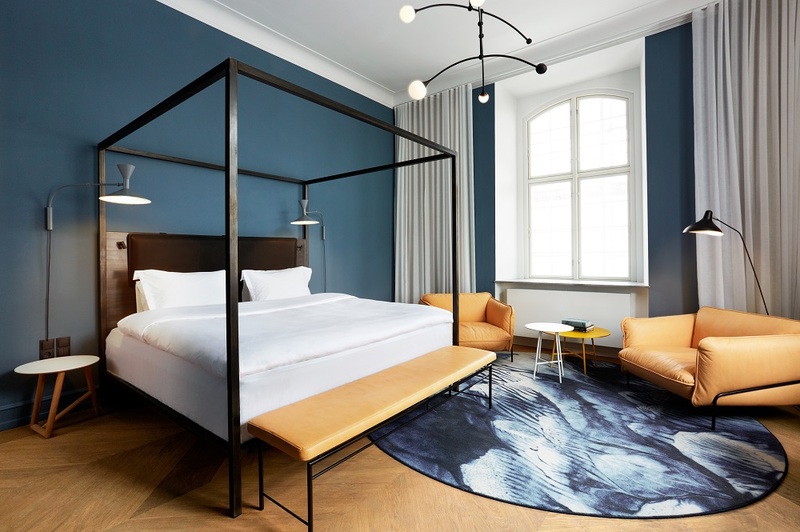 Set between the infamous Tivoli Gardens and the Ny Carlsberg Glyptotek museum, Nobis Hotel Copenhagen combines effortless style, luxury, and heritage, with a personalised level of service that is unrivalled. 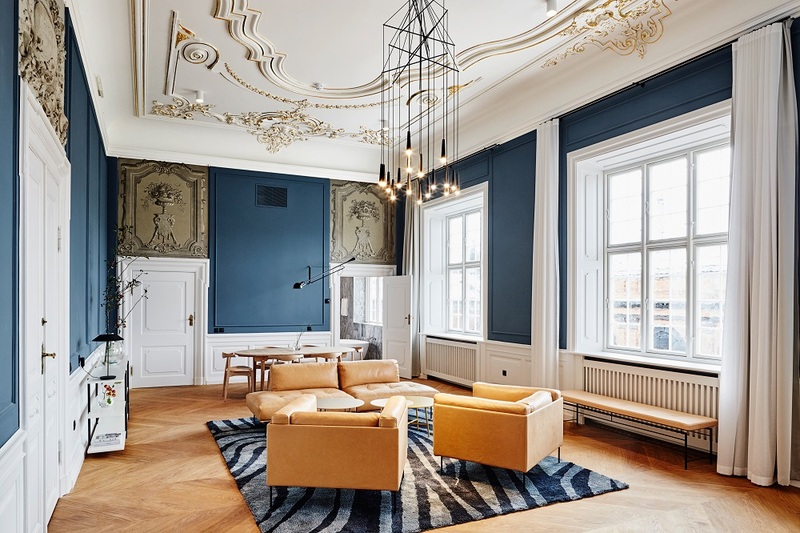 The 77-room hotel — the Nobis Group’s first property outside of their native Sweden — offers all of the comforts of a urban refuge within the heart of Denmark’s thriving capital. Star architect Gert Wingårdh and his team at Wingårdh Arkitekter were tasked with overseeing the evolution of the property, which they did with finesse. Wingårdh sought to pay homage to the storied building’s roots while adding his own signature touches. The result is a masterclass in marrying old and new: original architectural details—such as the grand staircase—have been preserved and restored, while bold contemporary accents are defined by superior-quality natural materials such as marble, copper, stone, hard oak, and glass. The stark modernity of the concrete reception desk, for example, is complemented by an elegant, heritage color scheme of green and gray tones. 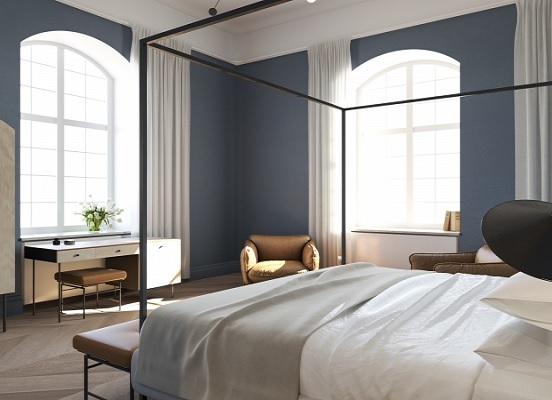 Throw in the enviable location in the cultural heartbeat of Copenhagen, and you have the blueprint for one of the city’s most eagerly awaited arrivals. The inimitable Scandinavian style that pervades the restaurant and public spaces is continued in the 77 rooms and 3 suites, creating easy, uncluttered spaces for relaxation. 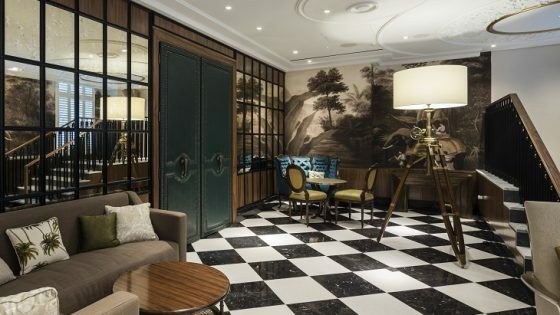 Each of the individually sized rooms, with soaring ceilings and original detailing, are painted in soothing green and blue tones, and all have chevron-patterned wooden parquet floors and high windows with crossbars as center pieces. Rooms are outfitted with classic Danish furniture from Carl Hansen & Søn, including the iconic CH25 chair which is found in the Superior and Deluxe room categories. Rugs come courtesy of Swedish brand Kasthall, while luxurious, cloud-like beds from Duxiana promise an untroubled night’s sleep and a lacquered oak minibar tray and crystal glasses from Danish designer Frederik Bagger ensure nightcaps are dispensed in a fittingly chic manner. 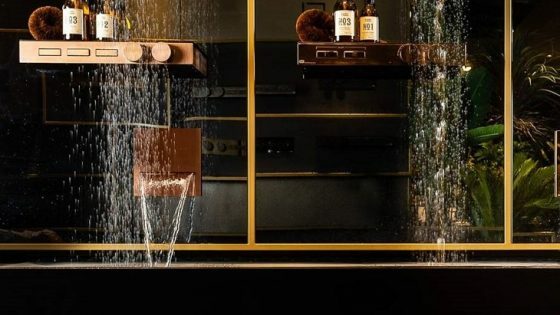 The bathrooms are entirely outfitted in Bardiglio Nuvolato marble—a material characterized by its fine-grained, deep gray, cloudy look, and luxurious amenities from luxury Swedish brand Byredo, treating guests to in-room pampering.